Foreign Ministry in Iceland announces opposition to proposed legislation against circumcision. 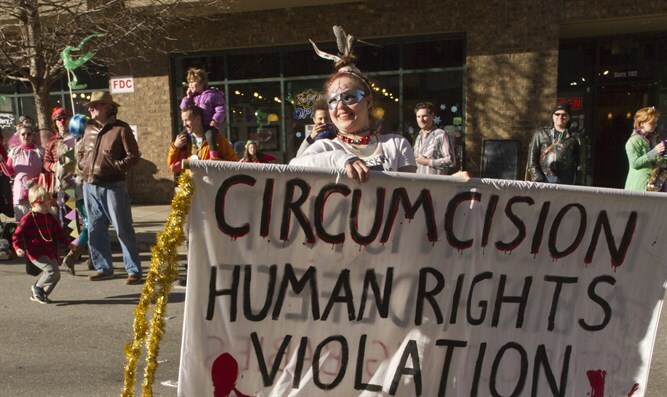 Iceland's Foreign Ministry has announced in recent days that it opposes the proposed legislation against circumcision. "The law harms Iceland and contravenes the UN Convention on the Rights of the Child and freedom of religion; The European model should be adopted for regulations that will enable circumcision to be carried out," said the statement presented in the past 24 hours by the European Rabbinical Conference. "It is important to make a clear distinction between boys' circumcision and girls' circumcision, which is considered a physical assault in the full sense of the word and requires punishment," the Icelandic Foreign Ministry said in a statement. "With regard to human rights rulings, including the rights of the child, the Foreign Ministry believes that these laws can be interpreted as being applied to boys as well. In addition, the proposed law can be seen as intended to grant certain rights to boys, as these rights already exist clearly for girls. In cases where there is no essential need for medical intervention in boys, it would be best if no decisions are made regarding such interventions until the person involved is sufficiently developed to make an informed decision about taking or avoiding action," the opinion states. However, the opinion stated, "this is not an iron-clad rule, because boys' circumcision has been an established foundation in the faith of many religious and cultural groups for hundreds of years, and the World Health Organization has determined that circumcision should be done by qualified health professionals, and under the best possible medical conditions. This approach is consistent with current legislation in other Nordic countries, which does not prohibit boys' circumcision, but requires that such surgeries be performed only by qualified persons with medical authority and with consent of the child or his guardian. 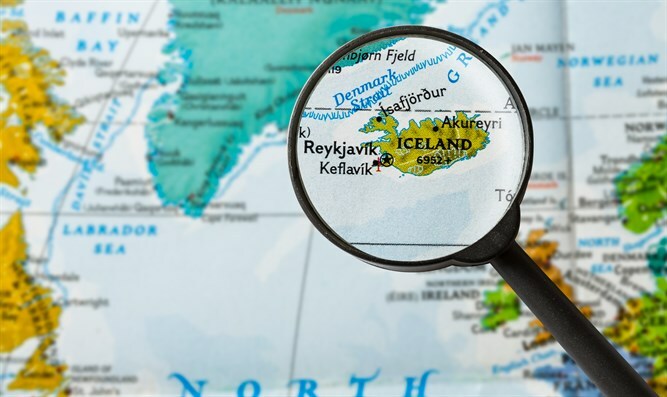 "Iceland's embassies in Europe and North America, in particular, received many responses from individuals and organizations, all criticizing the bill in the same way, especially in Germany, the United States, and Britain," the Foreign Ministry said. "Arguments in this context generally refer to freedom of religion and the importance of respecting others' beliefs. There were also a number of journalistic reviews of the subject in these countries. Many major Jewish organizations were prominent in the debate. However, position papers, articles, and interviews supporting the proposed law were also received. Representatives in Iceland of certain countries were interested in the proposed law and in some cases expressed concern about its enactment. High-ranking figures in the international community have hinted that - although it is clear that the intentions behind it are good and that the rights of the child are a leading principle - the proposed law may in this case be construed as an expression of hostility towards certain religions and cultures - and to incite extremism among their followers. "It is very difficult to apply human rights globally ... It is not easy to assess in advance what the response will be in other countries if the proposed law is accepted without any changes, but it is clear that boys' circumcision has very deep roots in the religious and cultural life of Jews and Muslims - also those with no connection to religion, in the US and other countries. These are not marginal groups but rather a group that may constitute about a third of humanity. In this context, the Ministry believes it preferable to take a more balanced approach to opposing opinions and to follow the path chosen by other Nordic countries, where the law states that circumcision of boys will be permitted only if performed by a qualified medical person and with the consent of the child or his guardian." The European Rabbis' Conference expressed satisfaction with the Foreign Ministry's announcement. Conference President Rabbi Pinchas Goldschmidt said he hoped that by presenting the opinion of the Foreign Ministry, the legislation would be shelved. "We find it difficult to believe that after such a clear stance by the Foreign Ministry there is still a chance to pass a private bill there, but we won't let go until the bill is shelved. There's no way in the world that we agree that any country in Europe will declare there to be no room for Jews." As part of the bill submitted in the Icelandic parliament, it was proposed to impose a six-year prison term for circumcision. The proposal was passed in first reading in the Icelandic parliament several months ago and was proposed by the four parties of the center and left, which constitute 46% of 63 seats. 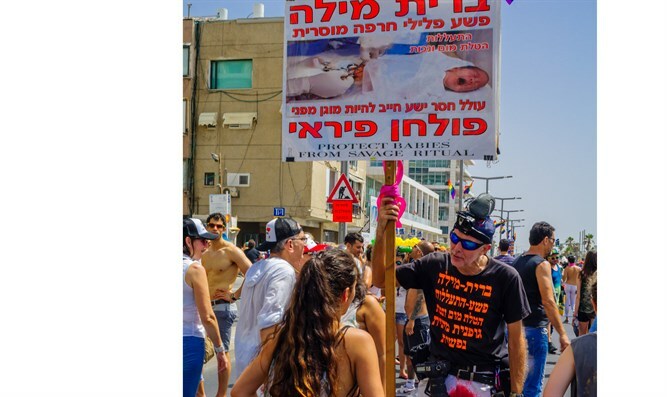 Also in Israel: anti-circumcision at "Pride Parade"